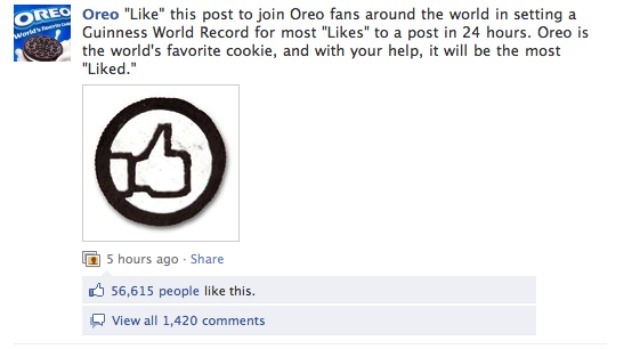 Oreo’s attempt to set a Guinness World Record for Facebook “likes” appears to have been in vain now that Lil Wayne has weighed in. The rap star tapped his 20 million Facebook fans to challenge Oreo’s attempt this afternoon and within an hour got close to 200,000 “likes,” trouncing Oreo’s 56,615 at the same time. Since Lil Wayne started his attempt at least four hours later than Oreo, he has the time advantage, too. 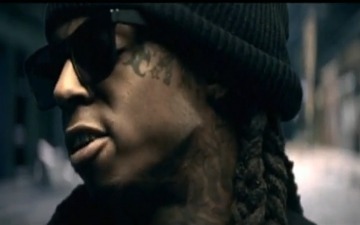 It’s unclear, however, if Lil Wayne needed to register with the Guinness people before the event, as the Oreo team had. Reps from Guinness could not be reached for comment and a Kraft rep declined to comment. Meanwhile, Mazy Kazerooni, Lil Wayne’s digital manager, says that the idea was to show the star’s social media prowess. “I want people to think ‘Bieber, Gaga and Lil Wayne.’ The traffic we do is ridiculous and no one really knows,” Kazerooni says.